TubeNet • View topic - Wessex Tubas - what would you like? Wessex Tubas - what would you like? Re: Wessex Tubas - what would you like? The resurrection was more aimed at Hirsbrunner. I just like Wilson's designs enough that I wouldn't mind a similar affordable option. ATschetter wrote: The resurrection was more aimed at Hirsbrunner. I just like Wilson's designs enough that I wouldn't mind a similar affordable option. You can still buy a "Hirsbrunner" tuba. Several years back Hirsbrunner sold their tuba tooling to Adams, who continues to build tubas of the Hirsbrunner design. There have even been reports of considerable improvements to the tubas since Adams has been manufacturing them. And...Hirsbrunner designs are being copied. There is an HB-21 copy by Packer that is apparently pretty decent. Now we're going to have a Wessex "Yorkbrunner," which may not be a 100% direct copy (have been told "Nirschl with different leadpipe"), but isn't far off the mark either. EDIT: and there has for quite a few years now been a Hirsbrunner BBb rotary design that has been copied. Wilson is still very much around, as already mentioned. If you want a less expensive Wilson you'll probably be waiting a long time - see bloke's post about things popular to the majority. Even though I personally like pistons tubas more, I would love to see top action rotary tubas being made. Is Martin the only tuba manufacturer that made a top action rotary tuba? 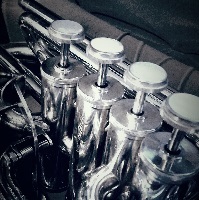 I also think that it would be nice if all keys of tubas had top action versions. I am glad that Wessex developed the Excelsior and is going to premiere a 6/4 top action compensated BBb, known as the Leviathan. My personal favorite tuba is the Kanstul 33t, it would be nice if top action tubas got more love. I'd like to see another 4 piston 1 rotor Eb come out, something based on the B&S Pt-22p or Meinl 2141. From what I've heard those are excellent tubas with excellent designs. I'd probably lean toward the 22p for the larger bell, for more projection. how about a copy of Eastman's copy of Yamaha's copy of York's 1930's cut-down-to-C version of it's big BBb tuba? bloke wrote: how about a copy of Eastman's copy of Yamaha's copy of York's 1930's cut-down-to-C version of it's big BBb tuba? "They will be on website and we will start taking pre-orders from late October." Maybe late November? "Chicago-Presence" and "Chicago-York" ... Not really copies of Eastman, but their all copies. Inspirations are copies. It's ok, everyone does it. My quote is from a different thread in which you said they'd be on the website by late October. The Chicago-Presence is an updated design like we think no one else has made before to get over the ‘deficiencies’ people often associate with 6/4 CC. It responds more quickly like a 5/4 and definitely has more Presence to its tone. I have been playing myself this last month and absolutely love - with lots of compliments regarding it tone and almost perfect intonation (quoting a professional conductor). 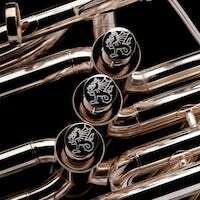 Last week it was trialled in concert by one of Germany’s top tuba players - and he is coming over to the UK to select one for himself as soon as we have in stock. Wessex website shopping cart is being updated to improve customer experience and the new 6/4 CC and BBb will be up on website as soon as the new shopping cart is implemented (very soon - we are just finalising set-up). Will both 18 and 20 inch bells be options? DouglasJB wrote: Will both 18 and 20 inch bells be options? Anything big, BBb and rotary behind the "Coming Very Soon" curtain, Jonathan? WakinAZ wrote: Anything big, BBb and rotary behind the "Coming Very Soon" curtain, Jonathan? any idea on the timeline...? weeks, months? WakinAZ wrote: any idea on the timeline...? weeks, months? Please call it, "The Kraken" and engrave a giant tentacled sea monster on the bell.